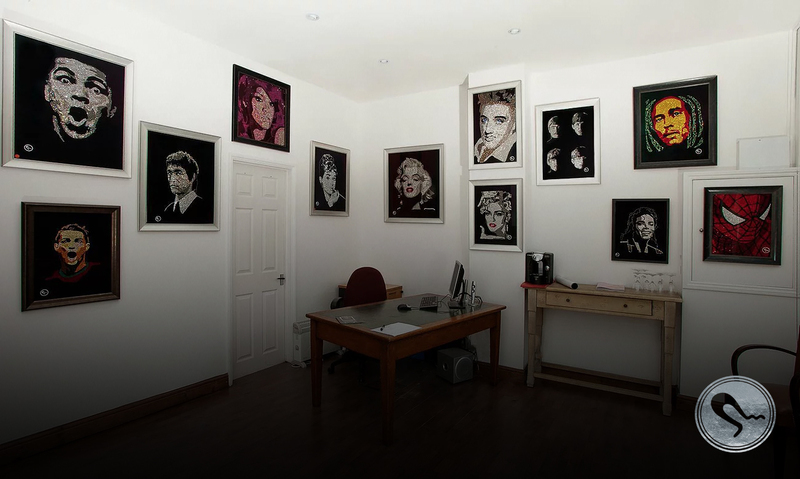 British born Artist works with Swarovski® Crystals creating portraits at a larger scale. Based around the concept of inspirational and timeless Icons and Legends. The process of creating my Art consists of manipulating the desired image which allows me to distinguish each section, shape and size. Once satisfied I create the image by placing each Crystal by hand and securing it with heat. Thousands of crystals are used to create the perfect piece. 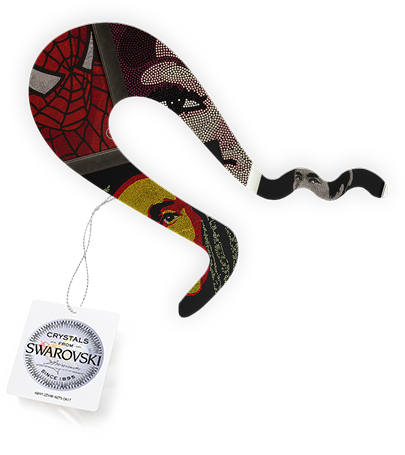 At Art by San B each piece of Art comes with a Swarovski® Seal Hologram Sticker. A unique 16 digit code can be found and verified on the Swarovski website for Authenticity.